Dr. Chanda to Speak at 2019 Cannabis Science Conference East! 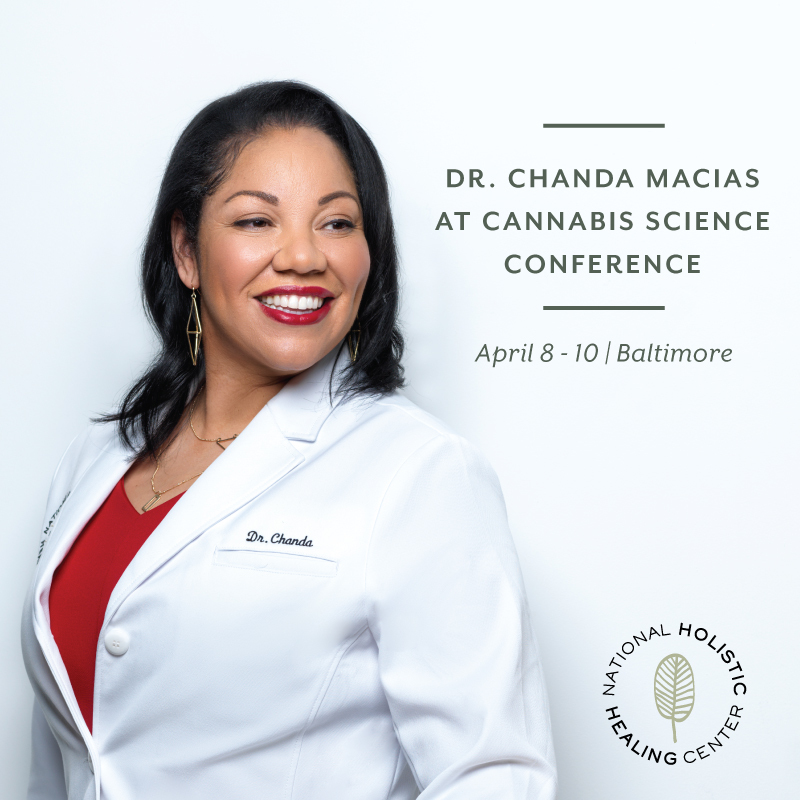 Dr. Chanda is taking her knowledge to Maryland for the Cannabis Science Conference East at the Baltimore Convention Center on April 8 - 10! The conference is the world's largest and most technical cannabis science expo and pulls together cannabis industry experts, instrument manufacturers, testing labs, research scientists, medical practitioners, policy makers and interested novices. This year's keynote speakers include talkshow host and Founder of Lenitiv Scientific, Montel Williams and Weed the People's Executive Producer and Director, Ricki Lake and Abby Epstein. Dr. Chanda's presentation on ailment-strain alignment takes place on Wednesday, April 10th at 9am. This term refers to the recommendation of a particular medical cannabis strain for a specific condition or ailment. With a PhD in Cell Biology, Dr. Chanda's experience with cancer and infectious disease research provides an invaluable depth of knowledge to her National Holistic Healing Center visitors. There is much more to developing a proper treatment plan than choosing sativa or indica strains. Dr. Chanda meets with her patients to determine their symptoms, then analyzes the effects of terpenes and cannabinoids found in various strains to determine the most effective therapies. The terpene Humulene, for example, works as an appetite suppressant. Dr. Chanda may recommend a strain high in Humulene, such as Girl Scout Cookies, for a patient who does not want to fall prey to "the munchies." Someone looking to cure severe muscle aches or cramps may find a Myrecene-rich strain, such as Bleu Cheese, helpful in treating pain and inflammation. We're excited to see Dr. Chanda share her wealth of knowledge and hear more case studies at the Cannabis Science Conference in a few weeks! More information about the Cannabis Science Conference and tickets for purchase here.